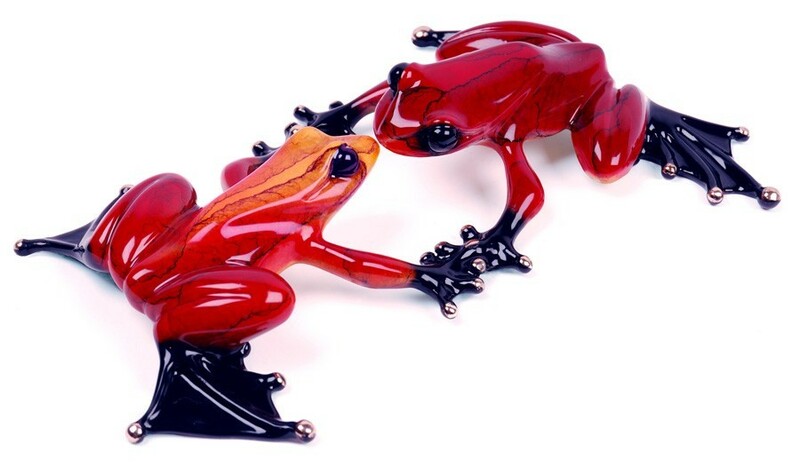 The Kiss - Artist Proof, hand signed Frogman Bronze Sculpture by artist Tim Cotterill. A romantic artist proof of charming frog The Kiss. An edition size of just 100, this signed limited edition Frogman Bronze would make a lovely gift or treat for Frogman collectors. Dimensions .75" x 5.75" x 3.5"